The Pew Hispanic Center also posted an excellent mapping feature recently showing the booming Hispanic populations in other surprising new counties across the country including places like South Dakota, Iowa and across the south from Georgia to Tennessee to South Carolina. In the same vein, IPC released a report showing places where New Americans are becoming a larger share of the population than previously detected and are now becoming a key political force and swinging elections in places like Indiana, North Carolina and Virginia. All this growth is resulting in counties and cities coming back to life. Yet, for the sake of political gain, some politicians have taken a punitive and restrictionist attitude towards these New Americans. However, pushing back against immigrants not only provided huge political losses to those who did it, but have recently resulted in even more painful losses to communities most notably in Long Island this week with the murder of Marcelo Lucero. 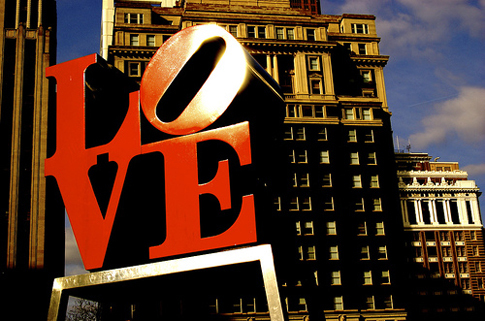 Will the City of Brotherly Love live up to its name? Philadelphia can set a new standard going forward by staying true to its great American roots as not only the birthplace of our nation, but the place where the Asian, African and Hispanic immigrants of today are welcomed like the German, Irish and English immigrants of yesterday who came to the Delaware Valley fleeing war, famine and persecution in order to start a new life and find a new place to call home.